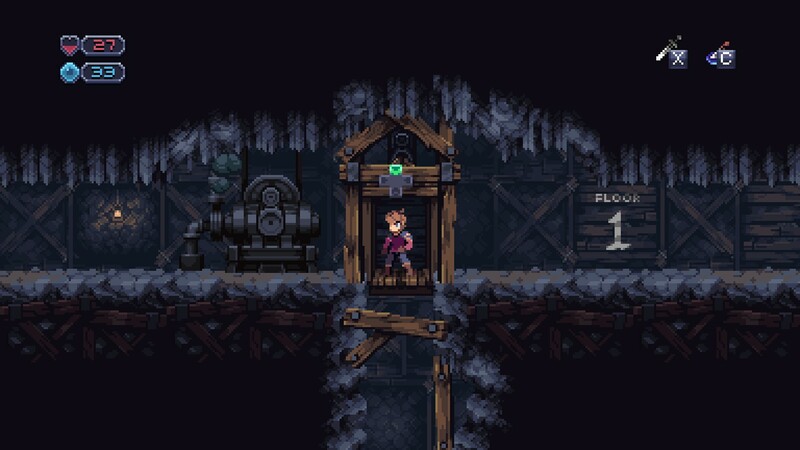 I’ve been following Chasm since I first played it at PAX back in 2015. It certainly made its mark on me then, and I’ve been not so patiently awaiting the release date ever since. The game has been delayed a few times, and it totally caught me by surprise when I learned of the release date a day or two before it came out. Thankfully, I was able to talk with developer Bit Kid and and they were kind enough to provide a review copy, which brings us to today. It’s a major challenge for a project to live up to its potential, that wealth of expectations thrust upon it by eager fans. Was Chasm able to deliver on the promise of quality I played in the demo 3 years ago? While it’s true Chasm is a Metroidvania, I would go a bit farther to help narrow down which sort. In my opinion, it’s most styled after the Castlevania Metroidvanias which released on the Game Boy Advance, specifically it felt like a mixture of Harmony of Dissonance and Aria of Sorrow. To the uninitiated, that means it has complex, seductive graphics, challenging bosses and some very linear exploration. That last point isn’t a complaint necessarily, just something fans of the genre should be aware of. To be fair though, there had to be some exploration that felt a bit blander since the layout of the dungeons are procedurally generated each time you start a new game. 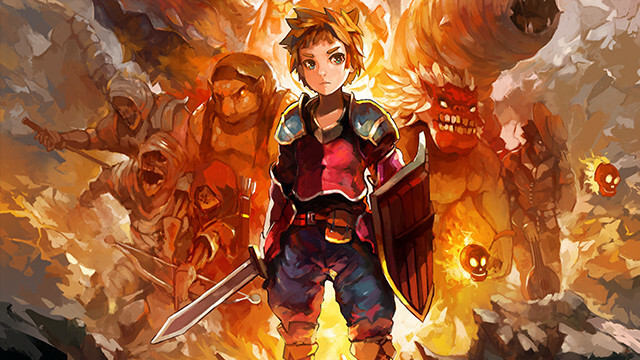 That’s not the only way Chasm reminds me of some great Metroidvania titles. It also manages to capture that air of menace and mystery so crucial to those games. While it’s not very dialogue or plot heavy, you will have important revelations narrated by Professor Baden as he navigates the sprawling corridors you discover. You’ll also find journal entries that do a good job of coloring the world of Chasm and setting the stakes for failure. 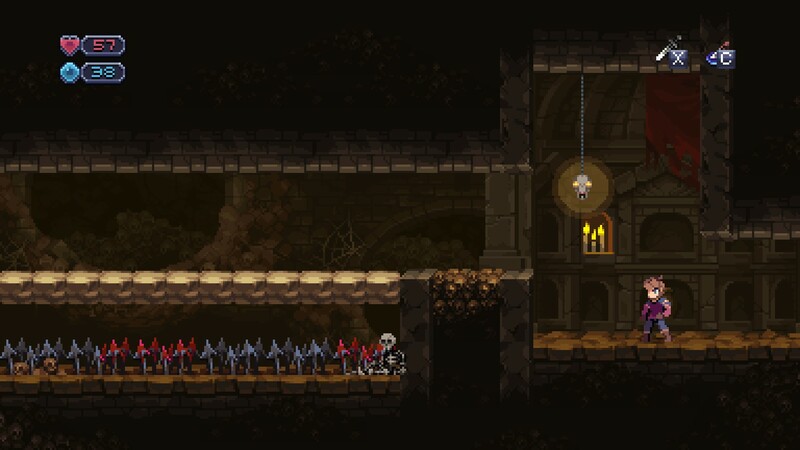 (This aspect of the game really reminded me of La-Mulana.) The only downside to this approach, at least for me, was that the main character you play is a blank avatar. You can name him whatever you like (I went with Hoss), but other than that he has no distinct characteristics, dramatic backstory or even any dialogue. He’s just a blank canvas you can paint whatever you want onto. While that’s not necessarily a problem, it became a niggling concern for me later in the game. The premise of the game is that you’re sent to investigate a mining town called Karthas where a giant hole opened up and spewed forth monsters which captured most of the villagers. Your job is to investigate what’s going on and try and save the day. Though things are kept relatively open ended, and you’re mostly left to your own devices, you’re essentially exploring, fighting monsters, saving villagers, rinse and repeat. This pattern is spiced up with a handful of quite challenging boss fights, but other than that it’s pretty predictable. And while you are left to explore on your own terms, the layout is always pretty linear, and you’re unable to proceed past certain points without the proper abilities. These are acquired by finding arcane artifacts, and result in skills most fans will be familiar with – double jump, wall climb, hover etc. One way that Chasm keeps things interesting is that whenever you rescue a villager, they’ll offer their services for you back at Karthas. (Not unlike the system in Order of Ecclesia.) Thankfully the game has a smart teleportation system, and once you find the proper nodes you’ll be able to effortlessly explore and return to safety when needed. Which is good, since every service found in the game is only accessible in Karthas. By rescuing the villagers, you’ll unlock an item shop, blacksmith and even be able to buy magical spells from an old woman. That last part was especially helpful, since every sub weapon in the game can be unlocked in whatever order you please, for the right amount of gold. (I just wish there was a way to control which sub weapons you have ready to throw, since instead you’re forced to cycle through everything to get to the one you want.) And that brings me to one complaint I had with the game – I never seemed to have enough money. 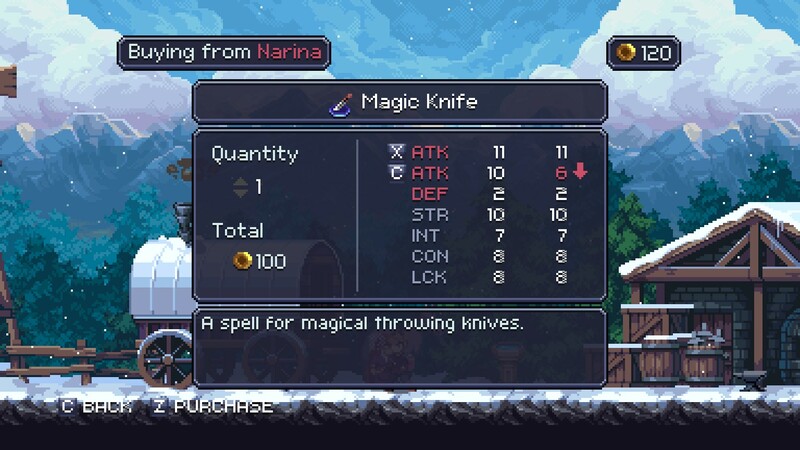 You’ll find most items are relatively expensive, which often leaves you to decide between buying healing potions, new equipment or magical spells. To be fair, you will find item drops from foes on occasion, but the drop rate is quite unpredictable and thus unreliable. Even when you find the villager who will buy gems from you for a hefty price, you’ll still be cash starved most of the time. Thankfully, you’ll always be able to restore your health at save points, though your MP can only be restored back at Karthas, by shattering lamps or with the aid of a tonic. Make sure to save frequently! 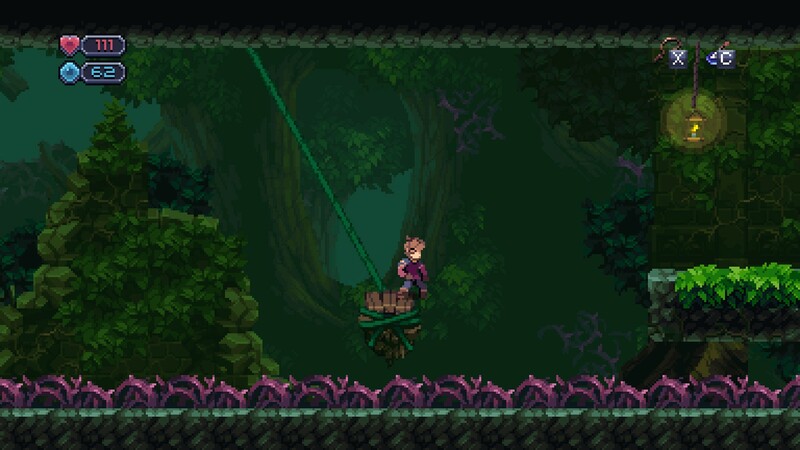 As far as controls, I was very pleased with Chasm. Everything felt tight and intuitive, other than the dash move being tied to the Y button instead of a shoulder button on the XBox 360 controller. It’s effortless to jump around, wall climb, and slash your foes to ribbons. And that’s a good thing, since the combat is fast, furious and somewhat unforgiving. The saving grace is that enemies have lots of visual tells for all their attacks, so once you learn what to expect, you can anticipate and avoid their most devastating moves. This goes double for the challenging boss battles, though don’t expect to get through any of them unscathed. I found the bosses to be the highlights of the game, though there’s plenty of memorable minor enemies, such as the recklessly charging Meatman or the explosive Mushboom. 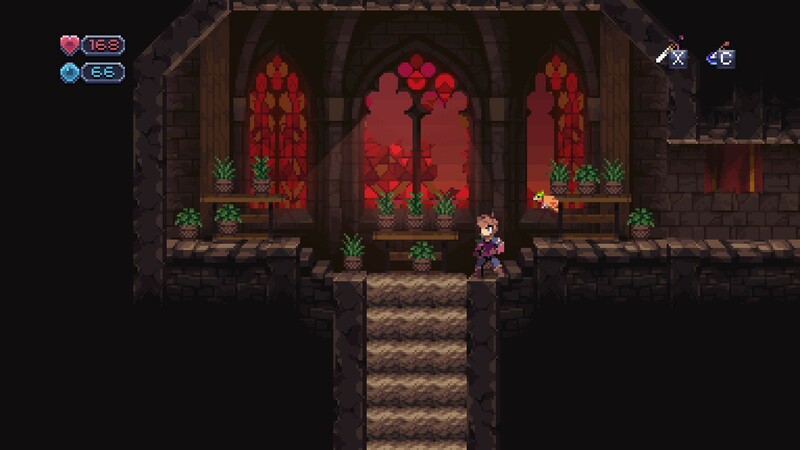 Visually, I was quite impressed by Chasm. This is retro done right, with gorgeous pixelated art and tons of details that make this world come to life. Enemies range from comical to homicidal, and nothing feels out of place. I also appreciated smart and efficient use of the screen to display your stats, a clear map screen and even a pop up that appears to show you your current experience when you defeat enemies. This is a game that has done its research and knows what fans of the genre demand, and they delivered. Likewise, the music is wonderful and atmospheric. Each dungeon has it’s own score, and it can range from somewhat Western to downright Medieval. The sound effects also do a great job of grounding you in the game and helping you react intelligently to combat. Put simply, this is a Metroidvania that looks and sounds like what fans have come to expect, and does so with style. I wish I could end on that high note, but now I feel compelled to mention some areas where I feel the game dropped the ball. Yes, visually the game is beautiful and the controls work quite well. But there’s more to a Metroidvania than just those features. One issue I mentioned earlier was the main character’s lack of personality. This became a problem for me late in the game when I realized his lack of emotion made it harder for me to care about the late game plot elements. Sure, horrible monsters threaten everything, but it’s hard to care when your hero seemingly has no nuanced reason to want to save the day. That may sound a bit critical, but there are other more relevant areas the game becomes problematic as well. About halfway through my 9 hour playthrough, the game started to throw up roadblocks without any clear way how to progress. Multiple times I was forced to look online at FAQs to figure out what I was missing, and oftentimes it was something I wouldn’t have guessed on my own. An example is when you reach the Keep but need the Parachute to progress. Problem is, to find that you need to get a black feather and then return to the Catacombs, find a specific chamber, and then proceed. Unfortunately, given the rogue nature of the dungeons, I was unable to check any online maps for clarity, and had to wander around til I finally found the right room. Which would have been a breath of relief, had it not led me to a pitch black labyrinth full of buzz saws, hideous new monsters and poisonous traps. This was easily the most challenging gauntlet in the game, and unfortunately it was only a sign of things to come. Later on you’re forced to beat what I thought was an optional area just to get an artifact that allows you to proceed past watery depths. Without it, you can’t reach the final area at all. I realize a Metroidvania is partially about exploring the unknown, but getting lost in this sort of game should be a temporary trial followed by a quick eureka moment, not wandering around aimlessly without being sure if you’re even properly equipped to proceed. This brings me to another complaint – some things are entirely unexplained in the game. While I don’t necessarily want my hand being held through every hardship, basic mechanics should be clear. However, I was never able to figure out how to level up my magical spells, despite them apparently being capable of leveling up. I also never figured out how to move some stone gates in a couple of areas, even after spending a lot of time exploring every nook and cranny. 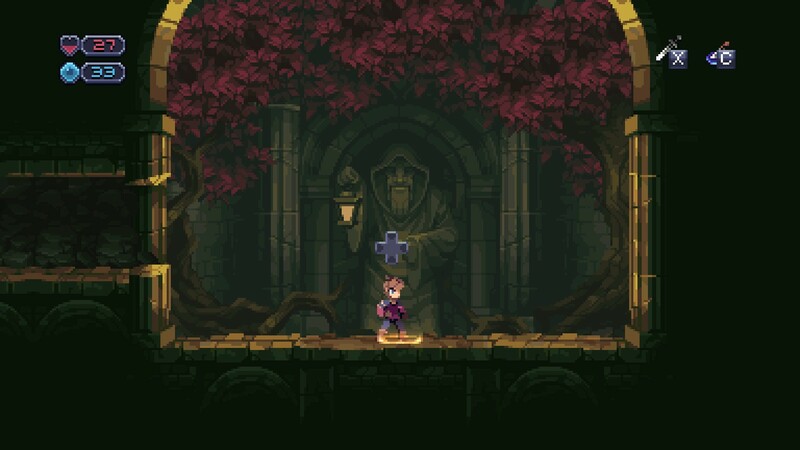 But perhaps most frustrating for me was that Chasm didn’t live up to it’s rogue nature. Sure, dungeons are different every game, but it’s always playing through the same dungeons with the same items. After playing another Metroidvania called A Robot Named Fight, which does a good job of constantly unlocking new features for progressive runs, the procedurally generated elements in Chasm felt bland and lackluster by comparison. It left me wishing that the game hadn’t embraced rogue at all, and had just tossed in a couple more dungeons and even some alternate endings instead. For $19.99, you could certainly do much worse than Chasm. While I don’t feel it entirely lived up to my expectations, it does a lot of things right, and looks and plays quite well. Unfortunately, the decision to make it rogue and the lack of a developed main character prevents it from making its mark as a true Metroidvania classic. 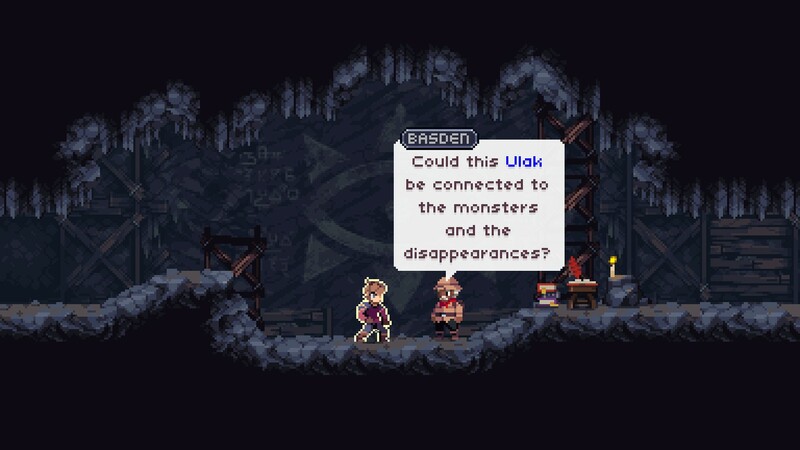 But if you enjoy Metroidvanias and are looking for a fun if flawed experience, you should give Chasm a chance. If nothing else, the highlights of this game makes me anticipate whatever project Bit Kid does next.